Help you and your organization to make better decisions by learning how to distinguish science from folklore; data from assertions; and evidence from beliefs, anecdotes, or personal opinion. This course will introduce you to the basic concepts and skills of evidence-based practice. The course is directly relevant to (future) managers, leaders, consultants and policy makers who desire to improve the quality and outcome of their decision-making. Managers and consultants are required to take action based on their decisions, and such decisions may have profound impacts on employees, customers and clients, the organization, and society more widely. But how good are such decisions? How can we ensure that managers and consultants get hold of, accurately interpret, and make use of the best available evidence in their decision-making? This course will help you develop the practical skills managers and consultants need to bring evidence-based approaches to their organization. In the process of developing these skills you will also find out a lot about management research. Strategies for learning. Developing skills for independent learning. What is evidence-based practice? What counts as evidence? Why do we need evidence-based practice? What sources of evidence should be considered? 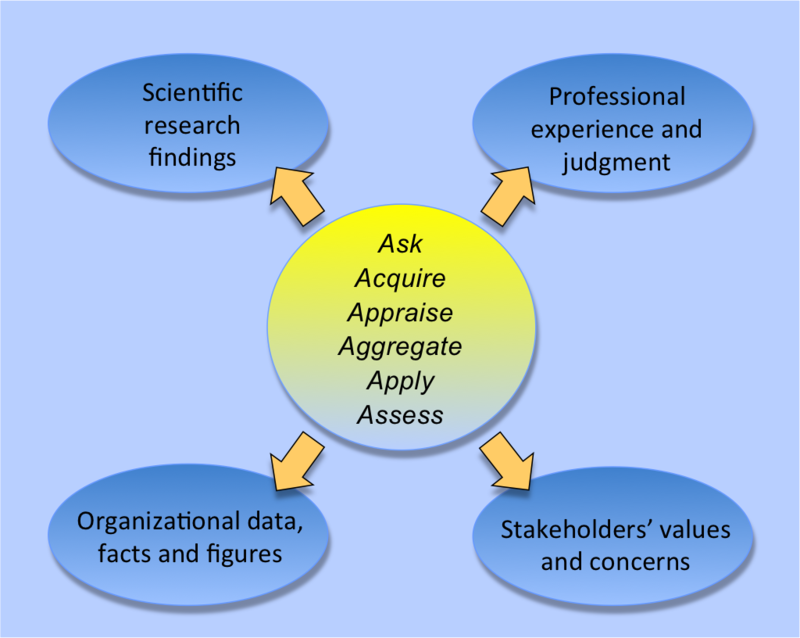 Why do we have to critically appraise evidence? Why focus on the ‘best available’ evidence? Common misconceptions of evidence-based practice. What is the evidence for evidence-based practice? What is professional expertise? System 1 and System 2 Thinking. Cognitive biases. Patternicity and the illusion of causality. Confirmation Bias. Group Conformity. Other Common Cognitive Biases. Overcoming Cognitive Biases. Avoiding or Reducing Bias. Acquiring Evidence from Practitioners. Developing Survey Questions. Developing your capacity to ask questions. Peer reviewed journals. Research databases. PICOC. Determining your search terms. Finding alternative and related terms. Identifying corresponding academic terms. Pre-testing your search terms. Boolean operators, truncation, and title/abstract search. Using methodological search filters. Searching for meta-analyses. Searching for controlled and/or longitudinal studies. Searching for low-quality studies. Screening the articles found for relevance. How to read a research article? How to determine the research design? How to determine a study’s methodological quality? How to determine if scientific evidence is trustworthy? 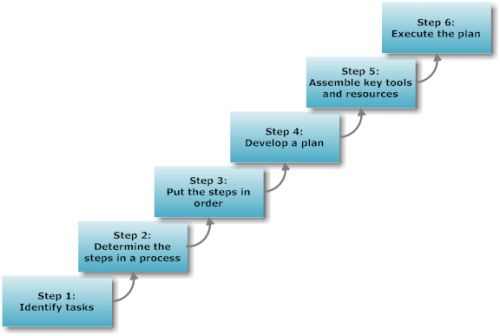 What is organizational evidence? Types of organizational data. Where to find organizational evidence. From data to information. Logical models, irrelevant data, inaccurate data, organizational context, measurement errors, the small number problem, percentages and averages, misleading graphs, correlation and regression, confidence intervals, big data. Correct misconceptions about Evidence-Based Practice. 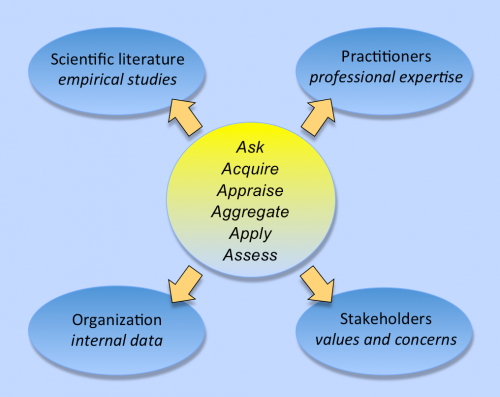 Detail the six steps involved in Evidence-Based Practice and clarify the application of each. Evaluate the quality of available evidence and determine which evidence is best. Explain the meaning of and need for Evidence-Based Practice. Identify the four sources of available evidence and provide examples of each. Restate the definition, need for and uses of “Best Available Evidence”. Explain how bias can influence valid and reliable professional expertise. Explain how cognitive biases can be overcome. Explain how evidence from practitioners can be acquired in a valid and reliable way. Explain the difference between system 1 and system 2 thinking, and how it influences valid and reliable professional expertise. Explain what constitutes valid and reliable professional expertise. Recognize patternicity and the illusion of causality, and how it can influence valid and reliable professional expertise. 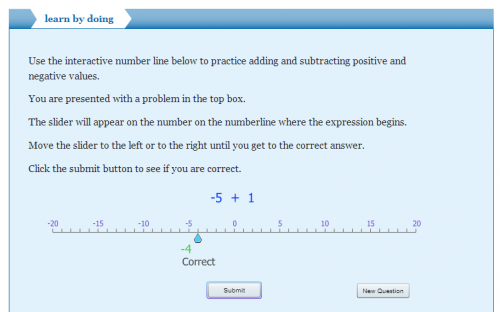 Apply the PICOC framework to focus a question. Conducting a systematic, transparent, and reproducible search for relevant empirical studies in an online research database. Determining effective search terms to search for relevant empirical studies in an online research database. Explain what the best place is to search for an empirical study that is relevant to management. Using Boolean operators to identify relevant studies in a research database. Determine a study’s type (based on approach, methodology and/or design). Evaluate the methological appropriateness of a study. Rate the trustworthiness of a study. Summarize a study’s design and findings, identifying weakness and methodological quality. Evidence-Based Practice in Management and Consulting is still in production, and does not have a suggested time-to-complete.